While Radiator Springs Racers is the crown jewel of Carsland, it’s not the only ride in this section of the park. There are two more attractions that are great for those not yet tall enough for Radiator Springs Racers. 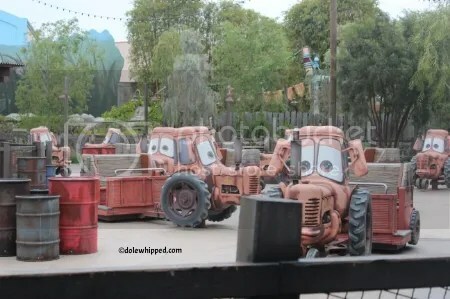 This attraction is similar to a “whip” carnival-type ride but with the magical Disney touches it is so much more.Tow Mater went and found some of his tractor buddies and built up this square-dancing party in a junkyard! There are 22 mini-Maters and no two are the same they all have different expressions. Once you are on board you swing to songs sung by Mater himself. 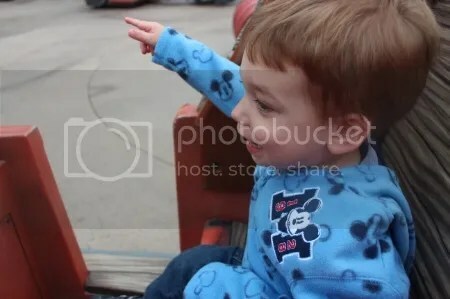 There is a height requirement of 32 inches, luckily my son made it because he is a huge Tow Mater fan and this wound up being his favorite ride in all of Disneyland. We rode it at least twice. This attraction is a museum and a ride it seems. You walk through Luigi’s showroom and his office as you are queuing up for the ride. 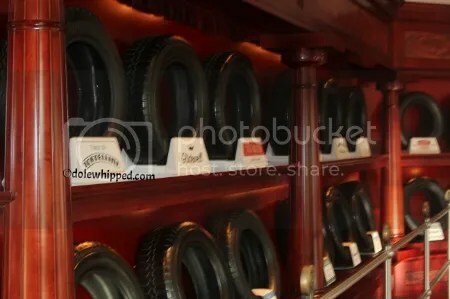 It’s fun to see how proud he is of his tires and look into his office! Once you are on the tire you have to shift your weight in the direction you would like to move, there are air vents that help propel your tire into the air. This ride also has a 32-inch height requirement. The premise for this attraction is good however they don’t really explain it, so if you knew nothing about it then you spend half of it confused as to what to do. Of course my husband and Anthony were able to move all around, while my sister and I tried but barely moved at all. 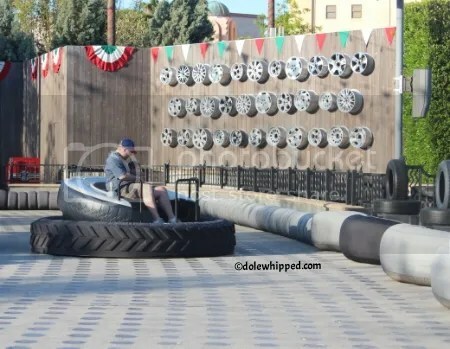 It’s almost like a fancy form of bumper cars! I would rank this as my 3rd favorite out of three rides in Carsland. We will definitely ride it again but it wasn’t nearly as fun as Radiator Springs Racers or Mater’s Junkyard Jamboree. One warning: If you have a little boy who is shorter than 32 inches, I would wait to visit until he is taller if you can. The boys love Carsland but I did see some disappointed toddlers who weren’t tall enough for these rides. This entry was posted in Disneyland and tagged carsland, Disneyland, luigi, mater by Dana. Bookmark the permalink.